This is your semi-weekly/periodic wrap-up of Nats and other baseball news that caught my eye. Talk about rumors that just won’t go away: Nationals apparently remain the favorites for Prince Fielder. Ken Rosenthal says the same. Buster Olney has a nice overview with pros/cons laid out. For me (as discussed in the comments of the previous posts), I think he’d be a mistake for 8-10 years, but an absolute steal for 3. Here’s some thoughts from Tom Verducci, who thinks the Nats are his destination. And here’s a post that says one of the 3 candidates for Fielder I identified in this space a few days ago (Toronto), is out of the running. Imagine a lineup that goes like this: Espinosa-Werth-Zimmerman-Fielder-Morse-Ramos-Desmond-Cameron to open the season, and then potentially inject Bryce Harper hitting behind Morse and replacing Cameron in the outfield. That’d be 5 straight home-run hitting threats in the middle of your order, with good L-R balance. I know he’d be expensive, but that’s a 95 win offense. It’d be even better if we got a one-year stop gap hitter to open the year playing RF and who we could flip in trade if Harper comes up sooner than later. From Jdland.com: the concrete factory across the street from Nats park is finally coming down! Whoops: Zech Zinicola hit with a 50-game suspension for non-PED drug abuse. Sounds like Marijuana to me. I wouldn’t be surprised to see the Nats release him after this, his 2nd transgression. 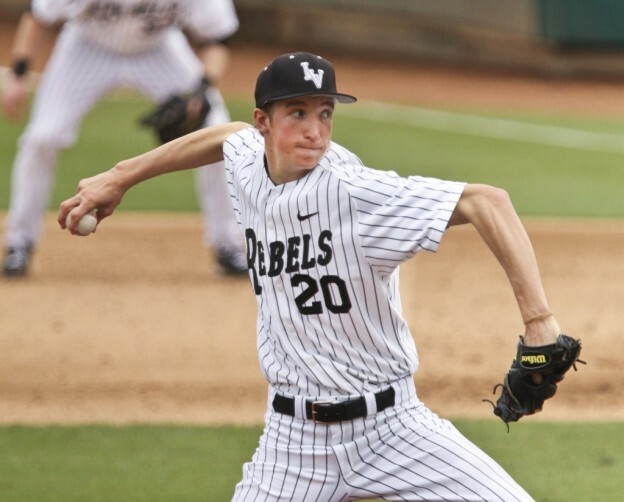 John Sickels‘ new rankings of the Oakland A’s top 20 prospects, post trades this off-season. 6 of the 10 top were acquired in the Trevor Cahill and Gio Gonzalez trades, while three more represent Oakland’s #1 draft picks in 2011 (Sonny Gray) and 2010 (Michael Choice) and 2009 (Grant Green). Say what you will about Billy Beane, but he’s clearly building a big-time farm system for the future right now. A nice review of the Nationals 2012 outlook from seamheads.com. We lost Doug Slaten. Now he can go be horrible for Pittsburgh. Good news on both Sammy Solis and Bobby Hanson from Byron Kerr. Adam Kilgore says the team is still talking to Rick Ankiel about coming back as a 4th OF… I wouldn’t be totally opposed to that; he’s essentially the same player we got in Mike Cameron, right? Only difference seems to be lefty versus righty. Fun little position-by-position exercise: ranking the NL east teams position by position from David Shoenfield. I must admit though I think he was a bit generous with his Nats rankings in some cases. MLBTraderumors is great; they’ve created arbitration tracking pages that will “keep score” of all the cases coming up in Jan-Feb. If you believe Jim Bowden, the Rangers are playing hardball in their Yu Darvish negotiations. If this falls through … look for pandemonium both on the Prince Fielder front and with Darvish next year when he’s an unrestricted FA and could attract interest from pretty much every team in the league. Makes sense: Marlins plan to aggressively pursue Yoenis Cespedes. Getting the latest big name Cuban defector can only be a good thing for the franchise as they try to re-build a fan base in a heavily latino/cuban community. Well, the Yankees shored up their rotation in one 3 hour period on Friday night; trading for Michael Pineda and then signing Hiroki Kuroda. They went from having three question marks in their rotation to now wondering if AJ Burnett can hold onto the 5th rotation spot. Wow. Here’s Keith Law‘s analysis, predictably giving the “edge” to the Mariners in the deal despite the obvious fact that Pineda is MLB proven while the other three guys in the deal, aren’t. Mike Silva becomes one of the very few BBWAA writers with a HoFame vote to publish support for Jack Morris. I’m sure I’ll be seeing the inevitable Craig Calcarerra blog posting questioning Silva’s IQ for doing so. David Shoenfield has a little missive on the HoFame, voting procedures and comments on how few players are getting elected these days. Chris Jaffe does an excellent job predicting HoFame votes every year; here’s his guess on 2012’s election. Bad news for Bagwell and Morris, good news for Larkin though. Other interesting HoFame notes: one site in particular collects ballots; here’s a summary of the 80-some ballots she has right now. Very good support for Larkin. No Bagwell votes here; prepare for the ridiculing. Danny Knobler and Scott Miller. I think i’m just about fed up with bloggers who see everything in modern baseball through little spreadsheets of data and who never even saw Jack Morris and Bert Blyleven tell me I’m an idiot because i think the former is a better pitcher than the latter. At some point statistics are just that; numbers that prove or disprove whatever your theories are. You can’t just ignore 20 years of performance and context of playing in the league by boiling down thousands of innings pitched into one number, whether it is ERA+ or WAR or whatever. For me, when you talk about whether a player is a Hall of Famer, you look at individual season accomplishments. Morris basically had 15 seasons of full time pitching. In 5 of those seasons he was a top-5 vote getter in the Cy Young; that means in 5 seasons those people who covered baseball that season considered him among the best 5 pitchers in his league. In another two seasons he didn’t finish top 5 but still received votes. He was god-awful his last two seasons, lowering his career totals. And there’s dozens of examples of him completing games despite having given up 3-4 runs and sitting on 140 pitches. Maybe Morris just needed to pitch in the current era, where he would be taken out in the 7th on a pitch count and then replaced by specialized relievers. Meanwhile Blyleven, in 21 full seasons of starting made exactly TWO all-star games and received comparable Cy Young support 3 times. I’ll ask again; how can you be considered one of the best of all time if nobody who covered you day in and day out during your career thought you were even among the best of your day?? Jorge Posada announces his retirement; the inevitable “Is he a Hall of Famer” articles start. Immediate gut reaction from me: yes he’s a HoFamer. Unlike some of his Yankees dynasty team members (Bernie Williams, Andy Pettitte) Posada seems a bit more transcendent in terms of talent and legacy. A quick glance though at his career stats show some of the problems with his eventual candidacy. He’s a late bloomer; not playing a full-time season til he’s 25. However for the 10 seasons he had from 25 to 35 he was fantastic; 5 all-stars, 5 Silver Sluggers and two top-6 MVP votes. After he turned 35 though he struggled with health and had a relatively poor final season at the plate. He has no gold gloves and had a reputation for having a very weak throwing arm but had a 121 OPS+ for his career (a great offensive player for a catcher). His compareables in b-r are heady company (including Carlton Fisk and Gabby Hartnett). I guess we’ll see in 5 years’ time. Jan 9th 2012: the wait is over. Only Larkin elected, Morris and Bagwell vote totals rise but still not close. Spreadsheet of all published/known hall of fame votes, with links to explanations. Interesting to say the least; several blank ballots and several very odd ballots to say the least. Buster Olney continues his rankings of the top 10s of baseball; this time with lineups. Predictably its very AL East heavy. Previously he had done rotations, bullpens, infields and outfields. Links to other lists available from this article (ESPN insider only; consider spending $2/month for it; its worth it). Buster, after finishing the above rankings, publishes his preliminary 2012 top 10 Power Rankings. Rays #1, Nationals essentially #11/”Best of the Rest.” Boy this team’s reputation has come a long ways in just a few short years. Jeff Passan‘s A-to-Z discussion on Baseball this off season and in 2012. I link it since I like most everything Passan writes. Joe Torre joins an ownership group chasing the LA Dodgers … but not the one that Stan Kasten is heading. Bad move; I think Kasten’s a shoe-in to be Selig‘s pick. This could have a bigger effect than the loss of Albert Pujols: St. Louis pitching coach Dave Duncan is taking a leave of absence from the team to care for his ailing wife. Duncan has been such a miracle worker for reclamation project starters over the past few years that its hard to imagine the Cardinals pitching staff not to take a dent. The Chicago Cubs franchise potentially takes another hit: Starlin Castro reportedly accused of sexual assault. Castro returned home for the off-season and isn’t in the country; could this incident prevent him from getting a work visa in 2012? Jonah Keri takes on one of my favorite topics; calling out Billy Beane and showing how he’s closer to being an incompetent GM than he is to his vaunted reputation as the game’s best GM. Great article on Baseball Prospectus about SLAP tears in baseball players (normally pitchers). The article is very heavy on medical jargon but talks about the different types of tears and surgical remedies. This is the injury that Chris Carpenter had and recovered from (though I’m pretty sure he ALSO had Tommy John surgery too). 2012 AL rookie of the year favorite Matt Moore, profiled at seedlingstostars.com. This is part of a series of prospect reviews, counting down to #1 and Moore is ranked #4 … but the author immediately caveats it by saying that any of the top 4 could be #1. I talked about Moore after his playoff start on this site, coming away with a Wow factor that I havn’t had since Strasburg. Scout.com’s top 100 Prospect list for 2012. Bryce Harper #3 behind Moore and Mike Trout. Can’t argue there. Other Nats on the list include Anthony Rendon (#56). AJ Cole (#76) and Brad Peacock (#85) would have made us a bit more respectable pre-Gonzalez trade. Here’s hoping that the Nats “other” big prospects (Meyer and Purke in particular) turn in stellar 2012’s and beef up our presence on the national prospect scene again. Article on 10 “trendy sports medicine” fixes. Including some exotic baseball remedies we’ve heard about recently. Weekly wrap-up of Nats and other baseball news that caught my eye. With the absolute deluge of baseball news, rumors, and unbelievable FA signings this week I frankly got lost in the shuffle, so most of these items are from the weekend and early this week. Hopefully you know by now about Reyes, Buehrle, Wilson, Pujols and our Rule5 losses. If not, you’re just not a true baseball fan now are you? An excellent good-bye blog posting from Ben Goessling, leaving the MASN Nats beat for his home-town paper. No permanent replacement has been hired, but MASN still has Byron Kerr putting out excellent prospect-focused posts, and Pete Kerzel temporarily filling in for Goessling during the Winter meetings (and perhaps beyond). Well, now we know what Stan Kasten plans on doing in his post-Washington career. Unfortunately for Kasten, Bud Selig can’t just give him the Dodgers as has been his custom in “awarding” teams to new owners. Byron Kerr reports that Hector Nelo, our high-A reliever who is pitching in Venezuela, can now hit 100mph. He always had a high velocity arm, but being a 25-yr old in high-A isn’t necessarily the most impressive feat. He was an April minor league free agent pick up, having been released by the Texas organization after putting up pretty mediocre figures. I’m projecting him in our AA bullpen for 2012. He may be able to hit those high figures, but its not being reflected in amazing k/9 rates. I remain skeptical that he can be an impact arm for us in the future. As noted elsewhere, Keith Law‘s posted his “top 50 under 25” list of players under 25 but who have already lost their rookie eligibility. Its insider-only but Amanda Comak at the Washington Times pretty much cut-n-pasted the entire list late last week. You can google it or search her archives. 3 Nats made the list: Strasburg, Ramos, and Espinosa. No real quibbles about those Nats left off; Drew Storen would have qualified, as could have Desmond and some weaker members of the bullpen/bench, but clearly Law doesn’t rate closers (nor do I, really). He has Craig Kimbrel, 2012’s ROY at #49. Law’s little dig at Desmond in his Espinosa write-up also indicates his opinion of the hitting capabilities of our current starting SS. I do question some of his rankings: I’d certainly have ranked Kershaw above one-year wonders such as Mike Stanton, but perhaps Law’s explanation of his ranking (he’s looking at projections for the next 6 years versus what they’ve already accomplished), explains it away. Well, there goes one OF option: Laynce Nix has signed with the rival Phillies. Most reports seemed to indicate that the 2-year guarantee solidified the deal for Nix, who faces at best a LF platoon in Philadelphia. Still, he could turn in a 20-homer season rather easily hitting in that bandbox. Jim Riggleman signed on to manage the Cincinnati AA franchise, a bit of a step down from a MLB manager job but at least he has on-field work. In what is sure to inspire a fire-storm of Natmosphere posts, Jim Bowden reports that Ryan Zimmerman‘s agents have been “rebuffed” in opening contract extension talks. I can’t blame Rizzo here: you’ve got a franchise player who can’t stay healthy; he’s a risk to guarantee a bunch of years and a bunch of money. Yes, everyone’s a risk to give guaranteed contracts … perhaps why the team needs to think on it a bit more. Uh oh. Sammy Solis is visiting Dr. Yocum to get his elbow looked at. This is not a good sign. Can anyone say Tommy John surgery? A month-old post, but somehow I missed it. Jeff Passan‘s free agent tracker, with some concise opinion on each of 181 free agents this off-season. No predictions but on-point analysis. Wow. Heath Bell gets 3yrs/$27M from the Marlins. Not that I don’t think he’s a good closer, and not that I really care that the Marlins just acquired a player being paid in AAV the equivalent of 1/8th of their 2011 payroll. Maybe this whole “Marlins are going to spend money” thing is for real. I agree with Neyer‘s assessment here: “that’s a lot for a guy who is going to throw 65 innings.” Predictably, Keith Law hates the deal. Even more Wow: Jose Reyes signs for a reported 6yr/$106M deal with these same Marlins. One has to wonder if we’re looking at another dynasty build-up/epic team dismantling situation. Jon Heyman‘s list of 10 busiest clubs for the Winter meetings, and somehow the Nats, whose name is associated with practically every FA in some form or another, are not on the list. We could soon find out just how serious the Nats interest is in Yoenis Cespedes, with him possibly being declared a FA within the next week or so. Despite some opinions that the Rule 5 draft is useless, there are active teams every year (The Nats included). Here’s one blog’s Top 25 available Rule 5 draft potentials. He does list three Nationals: Brad Meyers, Sandy Leon and Erik Komatsu. He also lists the top other prospects by system. That’s a TON of research frankly, digging through rule5 eligibles from all 30 minor league systems. Of course, John Manuel did the same on Baseball America, posting part 2 of his review, highlighting some favorites for role players (utility infielders, 4th outfielders, loogys and middle relievers). I’m guessing its from this group that the Nats may tempt fate and look to fill some bench spots. 12/7/11 Update: sure enough we lost both Meyers and Komatsu. So irritated. Sometimes, star athletes just don’t know how to say good bye. Manny Ramirez has filed for re-instatement and plans on playing in 2012 after serving his 2nd drug suspension. He’ll have to improve on his 1-17 outing for Tampa Bay last season. Interesting potential trade tidbit posted by new Masn beat reporter Pete Kerzel: Boston possibly dangling either Josh Reddick or Ryan Kalish in trade for starting pitchers (names mentioned include Ross Detwiler and Collin Balester). I’d like any trade permutation here; both Detwiler and Balester are out of options and increasingly with every Buehrle/Wilson/Oswalt rumor Detwiler’s chances of making our 25-man roster diminish. General News; Baseball and other. “Just in time,” indeed. Rob Neyer reports that the Feds are investigating the incredibly shady Marlins stadium deal. Jeff Passan also mentions the SEC subpoenas for financial records, meeting minutes, etc, looking for evidence of bribery of federal officials. Nothing would make me cackle more than to find out that the Marlin’s owners and management were to expect a federal indictment for corruption. Everything I’ve ever read about Jeffrey Loria, David Samson, and Larry Benifest and anything related to the Marlins as an organization and this stadium deal in particular has been negative, and this undoubtedly will be no different. I hope Selig is happy with himself for engineering Loria’s Expos sale and Marlins purchase, as well as watching his new buddy subsequently pocket millions and millions of dollars in revenue sharing whilst occupying the 6th largest market by MSA. Wow. Jon Heyman is leaving SI for CBS. This prolific writer is well known for being ahead of the curve on baseball news, and leaves a pretty big hole in the baseball reporting department for cnnsi.com. Interesting precedent setting event: MLB has restored Mike Trout‘s rookie eligibility for 2012. He’ll certainly be a candidate .. if he can get on the field. Matt Moore may be a better candidate, based on what we saw in September and October though. I’ll put in just enough opinion to get into trouble on the BCS: LSU-Alabama repeat for the National Championship is an abomination of justice when looking at the Alabama season in basic comparison to Oklahoma State. The OK State-Stanford game will be 10x as enjoyable. I only wish the BCS could have had 100% egg on its face with LSU losing the SEC title game but still being pretty much guaranteed a match up in the Championship. I would have laughed. Call me when there’s a playoff. I didn’t realize they were nominated: legendary college coaches Mike Krzyzewski and Pat Summitt received 2011’s SI Sportsman of the Year award. Clearly these were “career” awards, as opposed to anything specific to 2011. In case you were interested, or wanted to nit-pick every Hall of Fame ballot to death, here’s a blogger who tracks all the BBWAA voters and finds their HoFame votes. Not to get into too much politics here, but Mitt Romney‘s reported dig on Barack Obama‘s planned 17-day vacation smacks of hypocrisy. All he needs to do is check the record on George W. Bush‘s days spent “on vacation” while office and perhaps he’d wish he wasn’t casting stones. In fact, depending on how you interpret this research, Bush spent nearly 32 PERCENT of his time in office actually back home at his ranch or at Camp David. Boswell’s weekly chat had more Redskins questions than normal, but there was a slew of baseball questions in there as well. As always, questions are edited for levity/clarity and I write my answer before reading his. 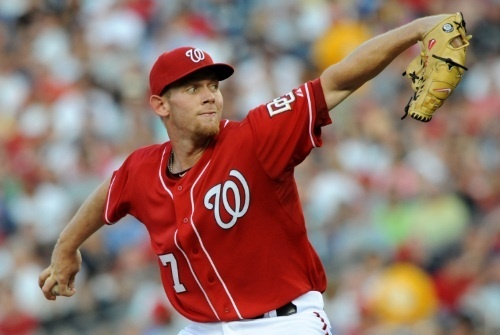 Q: When is Strasburg coming back? A: Per Mark Zuckerman’s csnwashington article, based on his regular 5-day rest and build up of innings, we should expect Stephen Strasburg back in the majors around September 6th or 7th, right in the middle of the mid-week LA Dodgers series. Wow imagine if he went up against Clayton Kershaw. Boswell guesses 9/6/11 but repeats over and again these are guesses, since rainouts have a funny way of ruining best laid plans for advance ticket buyers. 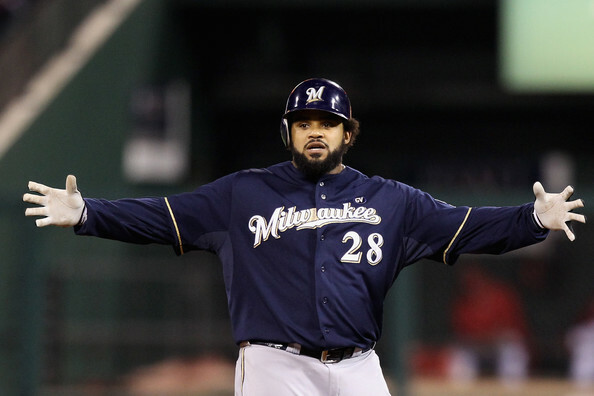 Q: Will the Nats go after Prince Fielder, as is being mentioned in the national press? A: I don’t think so; he doesn’t really fit the mold of the track-star/plus-defender mentality that Mike Rizzo wants in his players. Plus, signing Fielder basically light’s Adam LaRoche‘s $8M 2012 salary on fire. And I don’t think the owners would take lightly to 1/8th of their payroll being so blatantly wasted. I don’t think 2012 is the year that this team makes its big FA splash; I still see 2012 as an incremental building year, with 2013 the year to make a run. Boswell Agrees. Q: Do you agree with Kasten’s plan to fill the stadium with Phillies fans? A: Absolutely not. I don’t care how much money a sold out weekend series full of drunken low-lifes from Philadelphia generates for your team; its not worth the clear damage done to the psyche of the paying Nats fans who DO show up only to be treated like interlopers in their own stadium. Philly fans show up for one game and spend a few hundred dollars. Nats season ticket holders spend THOUSANDS of dollars and finance the team’s payroll. Which customer do you think is more important to keep happy? Boswell prints a letter describing what most of us went through opening day 2010, the first time the Philadelphia hordes descended en masse on Nats stadium. Q: Does Jayson Werth check his swing too much? A: Not that i’ve noticed, but i’m not exactly glued to the television every time he gets to the plate. I will say that at sunday’s game he was clearly the victim of a horrible 3rd strike call, and then guessed wrong on another versus Halladay. No shame in that. He got enough clutch at-bats and hits this weekend to get an awful lot of good grace from fans. Boswell says its his natural swing. Q: Who will be here next year of this list? Desmond. Gomes. Livo. Wang. Gorzelanny. Pudge. A: Definitely here: Desmond. Hopefully here: Wang. Probably here: Gomes. Likely gone: Gorzelanny. Most certainly gone: Livo and Pudge. The team isn’t ready to give up on Desmond; they like him as a leader and he’s turned into a pretty good fielder. Wang remains to be seen; has he pitched well enough so far to earn a 2012 contract? Probably not quite yet … but he also isn’t under a club option for 2012 either (a topic for a future post). Gomes’ acquisition was a mystery; he’s a lower-performing right-handed version of Laynce Nix but without the left handedness. He’s making $1.75M this year and certainly wouldn’t get that on the open market, so he’d likely accept arbitration from the team if it was offered (which should have been the primary reason we traded for him, to get his compensation pick). Gorzelanny seems destined for a non-tender; he didn’t get used for 13 straight days and clearly isn’t getting back into the bullpen. He probably looks for a rotation spot elsewhere in the league. Livan looks to be closer to retirement than another contract offer, as he’s regressed badly this season. Finally Pudge; If I were Ivan Rodriguez i’d go looking for one last shot with a winner. He’s likely to get a 2-year deal as a backup but his days of starting are probably over. Boswell agrees with me on most of these opinions. Q: Are any of the prospects they drafted in 2011 considered top 10 in their farm system? A: Absolutely! In fact the 2011 draft may go down as the day this franchise turned. Rendon shoots up to probably be the #2 in our system behind Harper. Meyer and Goodwin are top 10 right out of the gate. And Purke, if he turns out to be healthy, is a 1-1 talent (i.e., #1 draft pick in the 1st Round) who may be right up there with Harper and Rendon. Someone asked what the Nats top 10 looks like in Jim Callis’ latest Baseball America chat and he said, “Off the top of my head, I’d start their Top 10 like this: Harper, Rendon, Peacock, Cole, Meyer, Goodwin, Purke (move him up if he proves to be healthy). Looks like a possible top-five system, definite top-10.” Boswell says the top 4 guys are all top-12 prospects right now. Q: Should Clippard replace Storen as the closer? A: No. For two reasons: Clippard is a better arm and therefore gets used in more high leverage situations. The fact that the Nats can do this with their best reliever is fantastic. Second; the 8-9 guys are used to their roles, are pretty successful in those roles, so why mess with it? Boswell says they’re both excellent. Q: Do you see the Nats as NL East contenders in three years? A: Absolutely. I see it even before then; we’re slightly below a .500 team this year w/o our Ace starter and with huge chunks of the season missed by our supposed #3 and #4 hitters. A full season with Strasburg at the helm plus replacing Livan’s poor starts and Zimmermann’s continued improvement should see this team easily move above .500. Then you spend money in the FA-rich 2012 off season and prepare for a playoff run in 2013. Boswell’s succinct answer: Yes. Q: What “letter grade” do you give Harper on the year? A: A+. He was the 2nd youngest player in low-A and owned it as if he was playing against the JV team. He then was (easily) the youngest player in AA and held his own. Its a common mistake to remember that if he was playing by the rules, he’d have been a high school senior in April instead of playing ball in Hagerstown, and that he wouldn’t have even signed til 8/15 instead of having hundreds of at bats. How can you not say he’s met all expectations and exceeded them? Boswell takes a rather nit-picky view and says he’s a year further away than what he thought. Q: Should the Nats management take a page from Leonsis’ playbook and actively discourage Phillies fans from coming to games? A: Tough call; clearly they enjoy the revenue bump as discussed above, but the Nationals fan experience is beyond awful. Maybe wait until you’re a good enough team to draw on your own and then start discriminating against the 215 area code. Q: Is Adam Dunn finished? A: No, but he really needs to re-think his approach to the game. Why he has fallen off a cliff is probably a combination of factors; new league and new pitchers, pressure of the contract, pressure of being the “savior” of a big-market team, new ballpark, new city and moving your family, but most of all a new position (DH) that may leave him “bored” and “unfocused” during games. But he’s always relied on his talent and physical abilities in the off season to bring him around and at his age perhaps its time for him to work harder in the off-season. Boswell didn’t really answer this question, just noted that Dunn’s plight is unprecedented. Q: What would you say if you were the Nats owners/management to Bud Selig’s “singling out” the team for going over-slot to sign its draftees? A: I would have told Bud Selig to f*ck off. Boswell was more diplomatic. Q: How hard is Jordan Zimmermann’s innings limit? A: I’d say its pretty solid. Why possibly jeopardize him in 2011, even if you don’t believe in innings limits or think that its bunk science. Besides, we really need to give starts to Strasburg and possibly to one from Meyers, Milone or Peacock. Shut him down, tell him to take an early vacation and see you in February. Boswell points out a great point: at 162 innings Zimmermann qualifies for year-end award lists and top 10s, which he’s currently on. He’ll get it and then be pulled. We are 7th in total population (when measured by Metropolitan Statistical Areas); just behind Miami/Ft. Lauderdale and Dallas and just ahead of Houston and Detroit. We are 9th in terms of DMA TV households (just behind Atlanta/Boston and just ahead of Houston and Detroit again). And yet, in 2010 we had the 23rd ranked payroll of the 30 teams, spending just $66M in salary (2010 opening day number). Meanwhile the teams located in comparable cities spent much much more. Houston had a $92m payroll, Detroit $122M, Atlanta $84M. Miami and Boston are outliers for separate and obvious reasons (Boston essentially services the entire NE area while the Florida Marlins owners are the worst examples of owners taking advantage of the revenue sharing system in the league). According to my estimates (available here or via the link in the Nats Creations section to the right), the Nats (as of publication) have $29M committed for 2011, and likely will have a payroll that is around $46.5M once all arbitration cases are settled. Notice this is almost exactly $20M less than in 2010 (Dunn at $12M and Guzman at $8M neatly equal the delta). Clearly, the Nats need to be increasing payroll. I’m pretty sure this is one of the reasons Kasten left the team frankly; I don’t think he saw eye to eye with the Lerners in terms of payroll outlay. Certainly not in terms of the 2009 opening day roster team, which was an abomination of a roster and successfully gutted the season ticket base and fan satisfaction leading into the new stadium. BUT, and this is a large But, we should not just arbitrarily spend money just to spend it. So we have a conundrum. With Vazquez and De La Rosa off the market, the FA pitcher market is, as Jayson Stark put it, a disaster area. With the exception of an experimental flyer on Webb, I wouldn’t want a single guy left. Jon Heyman ranked the top 15 or so FAs and it has to be one of the weakest FA markets ever. Of the hitters out there, we definitely could use them (especially Werth in right and Crawford in center, as well as the probable eventual signing of Pena for 1B), but the question is, will they come to Washington? Why come to the Nats if a perennial playoff contender comes calling with more money and longer guaranteed contracts? Isn’t that why Dunn just left? Tom Boswell put out a post expressing some worry about the Nats and this off season, only somewhat alluding to the payroll issue. And I agree. Who knew that we’d be seeing a spending spree this off season, after two relatively frugal off-seasons preceding it. Now that Dunn has left, one has to wonder what the team really should do. I’m afraid the Nats are stuck frankly. We have money to spend, and NEED to spend money to show some good will towards a fan base that clearly sees the Lerners as incompetent, penny pinching and too cheap to really deserve a $600M baseball team. But, who are we going to spend this money on? At this point the best moves seem to be to try to acquire guys via trade ( Greinke or Garza come to mind) but these guys will cost us what few prospects we actually have right now. Is it worth it to give up 4 upper end guys to acquire 2 years of Greinke’s services? As much as I hate to say it, I believe the best course right now is to NOT spend money, play out 2011 with what we have (and perhaps a couple of lower end, one-year FAs) and regroup for 2012. Let our prospects play and get experience, find out if the likes of Espinosa, Desmond, Morse, Morgan, Bernadina, Ramos, Zimmermann, Maya and the rest of the bullpen are really quality guys. Trade Willingham for more kids. Wait for Strasburg to get healthy. And go firing into NEXT off season with a vengeance. Mike Morse. 2-3 with two homers last night in the pitcher friendly confines of Milwakuee. Raises his season slash line figures to .338/.386/.636. That’s a 1.022 ops and a 170 ops+ figure (by way of comparison, Votto is currently leading the NL in ops with 1.003). He has 6 homers in 38 games, projecting to about 25 in a 150 game season. He makes a ton of contact (15 ks in those same 38 games, projecting to only 60 or so in a full season). That would give us ops+ guys over 100 in 3-4-5-6 spots, would give Willingham some protection, and would put a better producing guy at the top of the lineup. Read through Stark’s espn chat yesterday and he took some Dunn trade questions. average” opinion of themselves and want to keep their 3-4-5 hitters in tact because we have so many arms coming back. This agrees with Kasten’s recent comments that we’re “closer than you would think.” And its hard to argue. We’re puttering along with 3 guys in the rotation who would other wise be in AAA (Stammen, Atilano, Martin). We never intended Livan to be our season savior; he was always meant to be a placeholder until Strasburg and Wang got healthy. – Chico has two 7ip 0er performances in a row and (probably) makes a spot start sunday. – Detwiler is ready to come up (7 starts in the minors) and has been pitching well. – Olsen is on his 4th rehab start and might need a few more. – Marquis has 3 rehab starts but hasn’t looked great. He says he feels good though. But post injury you have to think he is an option. – Zimmermann has pitched 13 scoreless innings with zero walks and 13 ks in high-A so far; you figure he has about 3 more starts before they have to make a decision on him too. – Wang looks like wasted money so far, but may be a bargain next year if he’s healthy at a cost controleld arbitration figure next year. – Lannan now has 6 starts in AA trying to “find” his sinker and so far he looks unsuccessful. I hate to say it but Lannan may be completely forced out of the Nats starting picture. – and don’t forget new cuban signing Yuneski Maya, who most scouting reports say is MLB ready at 28. Though, he apparently hasn’t pitched since last fall so hey may not get to the majors this year and will pitch in various minor leagues until sept. The problem is that most of these guys are on rehab assignments. Those can only last for 30 days (or about 6 starts). Detwiler technically was activated and optioned (burning another option year for him, so now unless they get a medical waiver for a 4th option he has to pass through waivers to go back to the minors from here out; thanks Bowden for that 2007 callup!). I guess the point is; a ton of pitching talent lays awaiting. Maybe the Nats lick their wounds on this season, stand pat, resign Dunn to 3yrs $42M with a club option for the 4th that possibly vests with certain productivity in year three and focus on filling the hitting holes we’ll have in free agency. And next year’s rotational competition looks tough.